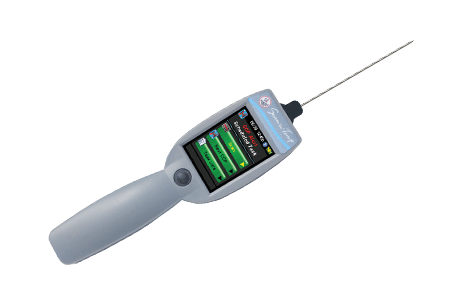 Scan ‘n’ Temp™ is the first temperature probe of its kind to reach the food service market. 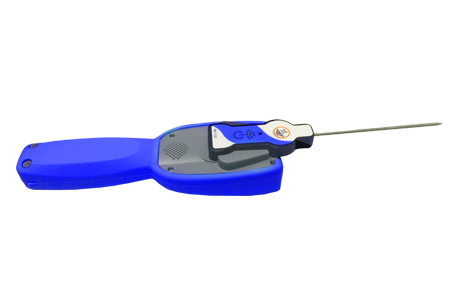 ICC has combined a bar code scanner with a line check food thermometer to offer an "All In One" tool for inventory and food probe temperatures. Scan ‘n’ Temp™ has a main function as an instant read food thermometer which collects temperature data and sends to cloud storage using Bluetooth technology. Easily programmable, Scan ‘n’ Temp™ records temperature ranges from -40°F to 300°F, tracks and measures wasted product, and is rugged enough for kitchen/production floor usage. As many as 1,000 items can be stored in the software. 24/7 access to reports is available utilizing cloud data management. A barcode scanner has been added that can be used for faster logging of your product items. 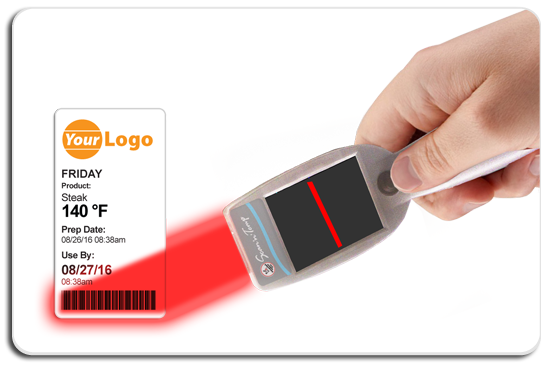 Simply scan a barcode to take temperature readings and inventory. All collected data is sent to the cloud and combined into a report available online 24/7. Scan ‘n’ Temp™ innovations go even further. 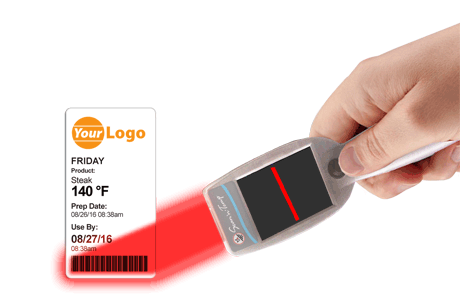 For the first time, you can print a Food Safety Label right from your Scan ‘n’ Temp™ unit. This patented technology is only available from Integrated Control Corp.
Add i.Print™ to your kitchen and instantly print food safety labels for your products. Labels can contain: Product Name, Prep Time, Expiration and NOW --- Temperature of prepped products. 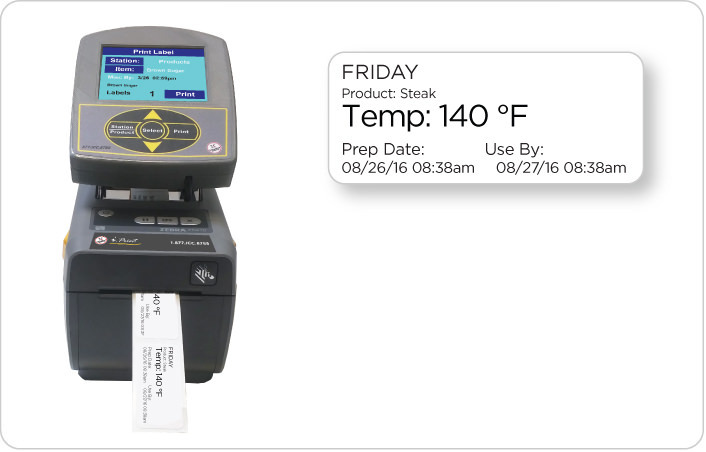 Simply press "Print a Label" on your Scan ‘n’ Temp™ unit and i.Print™ will print a label with temperature readings on your product rotation labels. This feature makes FDA and HACCP compliance easy. Food Safety records are saved online automatically, for up to two years, with daily use. Ready to improve your HACCP plan with faster temperature taking & record keeping? Talk to our Sales Department today to speak about your needs.